This weekend his best friend is celebrating his third birthday. 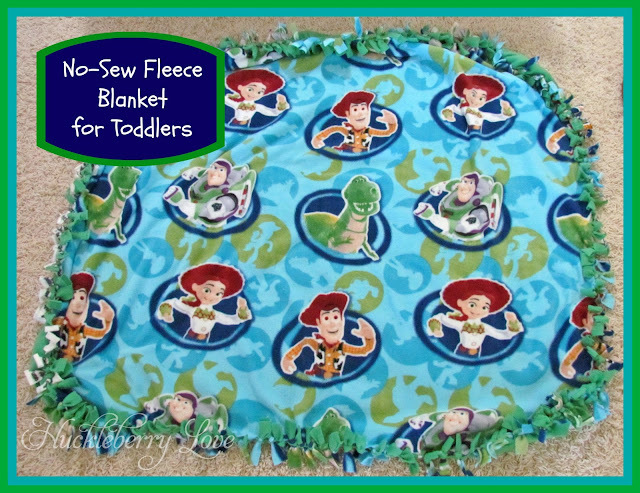 So, I thought I would make him a no-sew fleece blanket as well! Instead of Cars, this little man his obsessed with all things Buzz Lightyear. First, you'll need to line up your fleece. 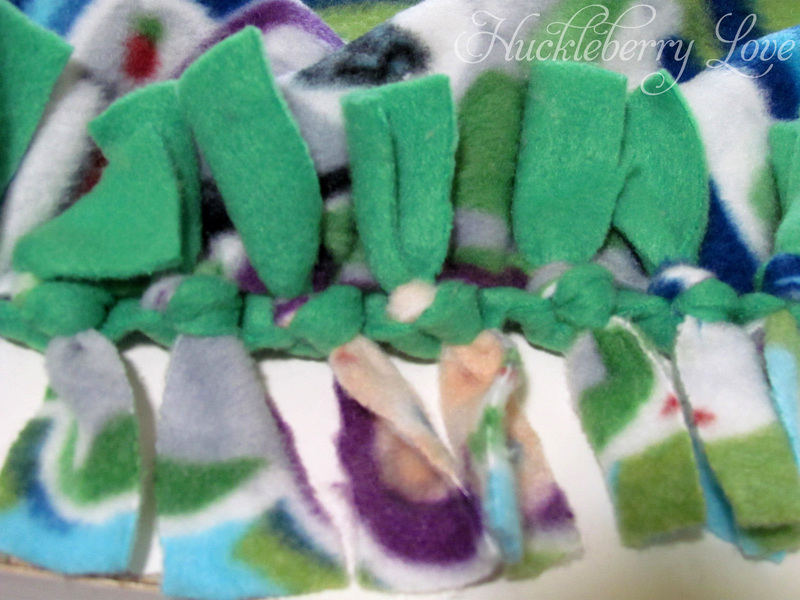 My character fleece has this strip of words on the side. I decided to just leave it, rather than cut it off. 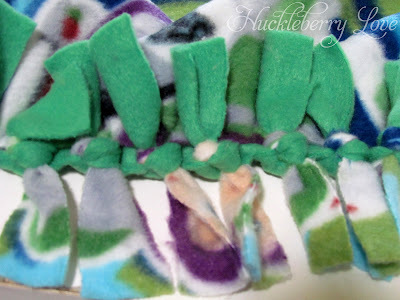 If you do cut it off, make sure you also trim up your solid fleece so that they still line up. Next, you'll need to take your 4x4 square of paper. You'll want to place it in each corner of lined up fleece and cut around it. 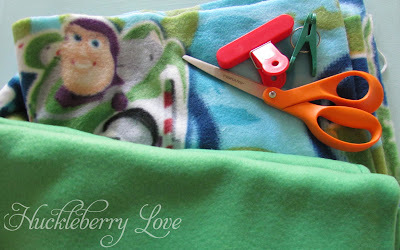 You will end up having all of the corners cut off of your fleece. Now it's time to start cutting your tie-strips. 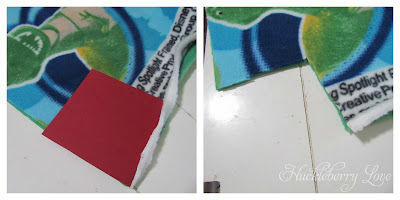 Use your clips to hold together the two pieces of fabric. You'll want to make cuts about an inch apart and two to three inches into the fabric. 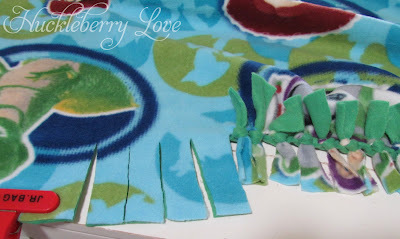 Cut a small amount at a time, then tie your strips together. Be sure to double knot them so that they are nice and tight. Do not tie the pieces closest to the corners together. Instead you are going to criss cross them and tie them with the pieces on the other side of the corner. 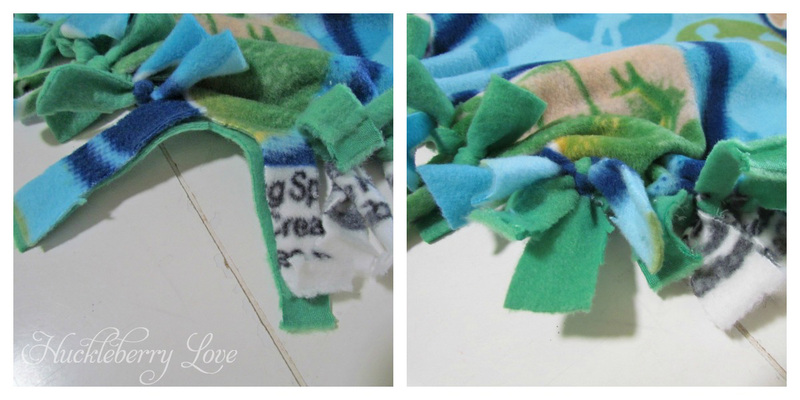 This ensures that there are no gaps in your blanket. 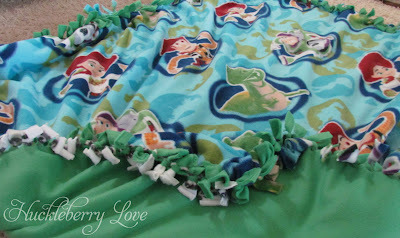 Continue this process until you have gotten all the way around your blanket. 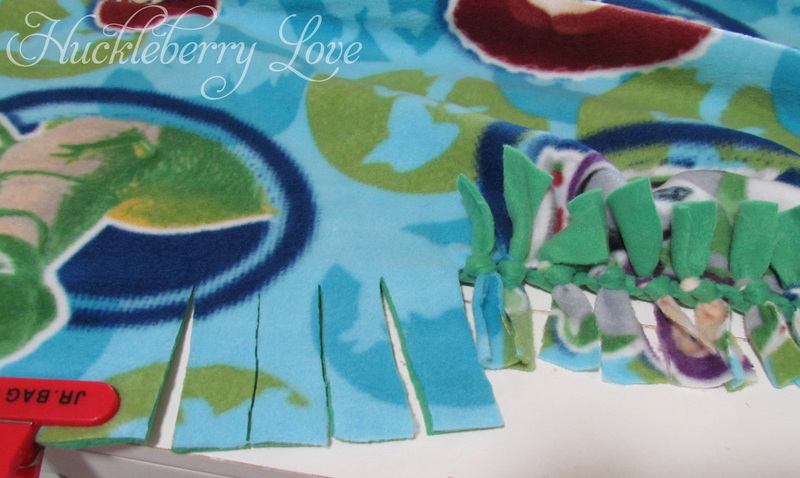 The blanket is roughly 4 x 4.5 feet when complete. It's also pretty easy on the wallet. My total cost for this project was $12.40. If you buy one of the No-Sew Fleece Kits at JoAnn's it will cost you anywhere from $25- $30. So, it's definitely worth it to make one yourself! Does your little one have a favorite character or TV Show? 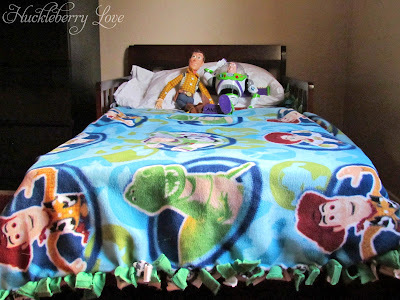 Have you ever made one of these blankets before? I have made two of these for my daughter & they're her favorites. She had one for Christmas & we got so many compliments on how festive it was. Now she has one with elephants on it. At six months old, she just loves to play with the fringes. This is so supercute!! 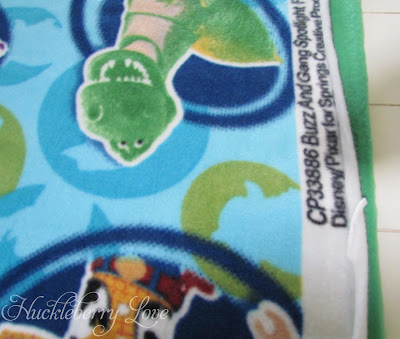 I made a scarf like this once (http://cityofmotherlylove.blogspot.com/2012/12/easy-peasy-fleece-scarf-for-kids-or.html), but I never thought of making it as a large size!! Great idea!!!! !